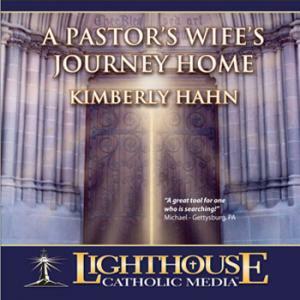 Talks from Dr. Scott Hahn and Kimberly Hahn can be found in the Lighthouse Catholic Media CD kiosks in the entrance of each church. Founder and President has been married to Kimberly Hahn since 1979. He and Kimberly have six children and are expecting their fourth grandchild. 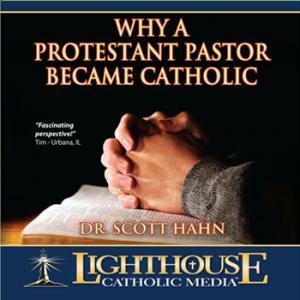 An exceptionally popular speaker and teacher, Dr. Hahn has delivered numerous talks nationally and internationally on a wide variety of topics related to Scripture and the Catholic faith. 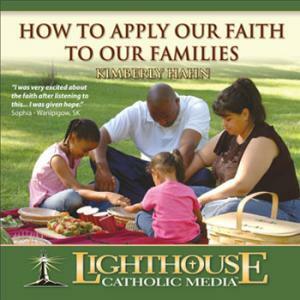 Hundreds of these talks have been produced on audio and videotapes by St. Joseph Communications. His talks have been effective in helping thousands of Protestants and fallen away Catholics to (re)embrace the Catholic faith. He is currently a Professor of Theology and Scripture at Franciscan University of Steubenville, where he has taught since 1990, and is the founder and director of the Saint Paul Center for Biblical Theology. In 2005, he was appointed as the Pope Benedict XVI Chair of Biblical Theology and Liturgical Proclamation at St. Vincent Seminary in Latrobe, Pennsylvania. Dr. Hahn is also the bestselling author of numerous books including The Lamb’s Supper, Reasons to Believe, and Rome Sweet Home (co-authored with his wife, Kimberly). Some of his newest books are Many Are Called, Hope for Hard Times, The Catholic Bible Dictionary, Covenant and Communion, Signs of Life. Mrs. Kimberly Hahn has been married to Dr. Scott Hahn since 1979. They have six children: Michael, Gabriel, Hannah, Jeremiah, Joseph, and David. Kimberly has been a full-time, stay-at-home Mom since their firstborn’s arrival. Currently, she home schools her younger children. She enjoys speaking with Scott, but ministry is a priority after family commitments. In addition to Rome Sweet Home, Kimberly’s newest books are Chosen and Cherished: Biblical Wisdom for Your Marriage and Life Giving Love: Embracing God’s Beautiful Design for Marriage published by Servant Publications. She has contributed chapters to Catholic for A Reason: Scripture and The Mystery of the Family of God, Catholic for A Reason II: Scripture and The Mother of God; Catholic for a Reason III: Scripture and the Eucharist, Catholic for a Reason IV: Scripture and the Mystery of Marrigae and Family Life, and The Gift of Femininity. 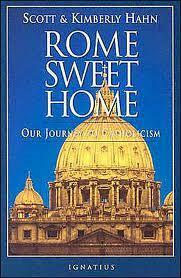 She has also co-authored a book on Catholic home education with Mary Hasson entitled, Catholic Education - Homeward Bound: A Guide to Home Schooling. 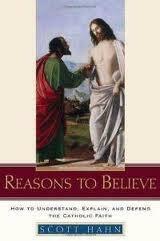 Click on the respective link below to order recommended reading from Scott & Kimberly Hahn.